Auralog’s Tell Me More Italian teaches you to see the word, to say the word, to spell the word, and to put the word in sentence form–so many methods of reinforcement to help you to learn Italian–easily. Learning the language with Tell Me More Italian is second only to living in Italy. Instant Immersion Spanish Express 2.0’s activities and material are meant for true novices. Perhaps even people who have never thought of studying a language and now need, or want, to try. This outdated Topics Entertainment program is technologically unsophisticated but effective. 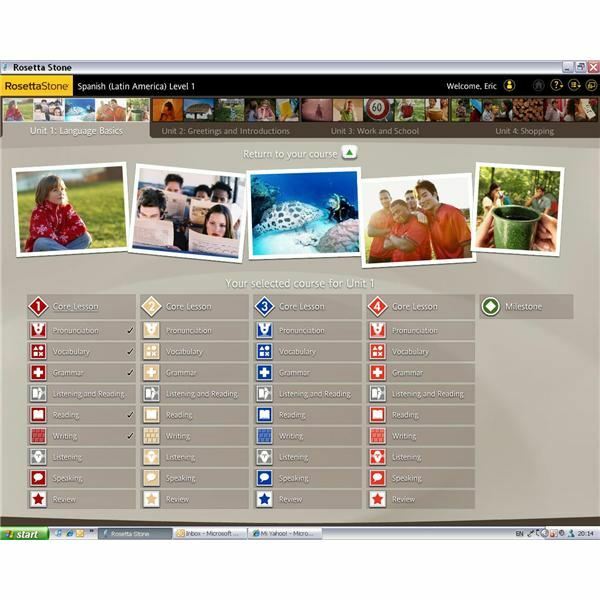 Rosetta Stone works with the human mind in ways that will amaze language learners. If you are a beginner, this attractive and powerful program–Level 1, Latin American Spanish–will provide you with a solid foundation on which to build with the other levels of Rosetta Stone products. Many people complain that while they might grasp some basic French vocabulary and grammar, they cannot speak or understand the language to save their lives. If this describes you, and you want to build your confidence to communicate in French, Auralog’s Tell Me More French is your program. 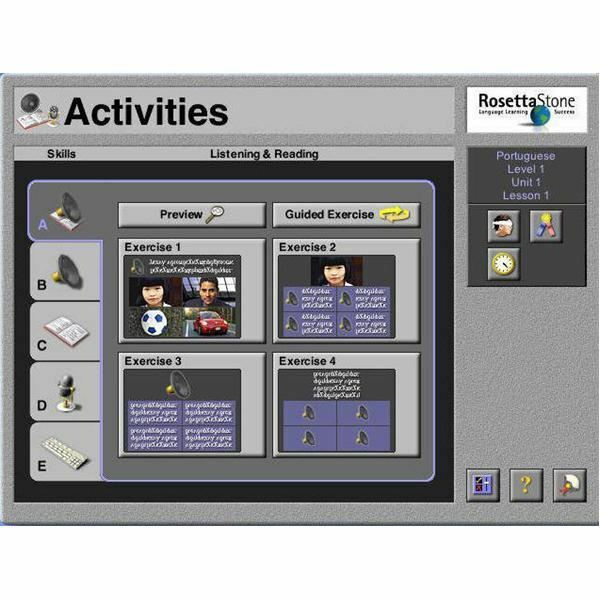 Rosetta Stone English Level 1 prepares you to listen, comprehend what was said and give immediate, accurate, and appropriate responses with its Dynamic Immersion approach to language acquisition. 101 Languages of the World provides you with the potential to speak with virtually anyone in the world on a very basic level. 101 Languages of the World provides an awareness of the local environment where you travel and an adequate store of background knowledge which you can fall back on. With the volume of training seminars I do in Canada and Europe, learning French had become imperative to my growth professionally (not to mention it would let me fit in much more easily when in Paris). I chose Rosetta Stone’s French Level 1 learning language program and it did not disappoint. Talk Now! Learn Portuguese has a fun and effective gaming atmosphere which drives the beginning learner to quickly gain knowledge from their lessons in pronunciation and word recognition. Points and awards are used to stimulate the user into being taught the essentials of Portuguese swiftly. This product is not worthy of the name “translation software.” It occasionally would crank out the translation of a line or two from a web page, but I would often find myself having to use another translation product instead. 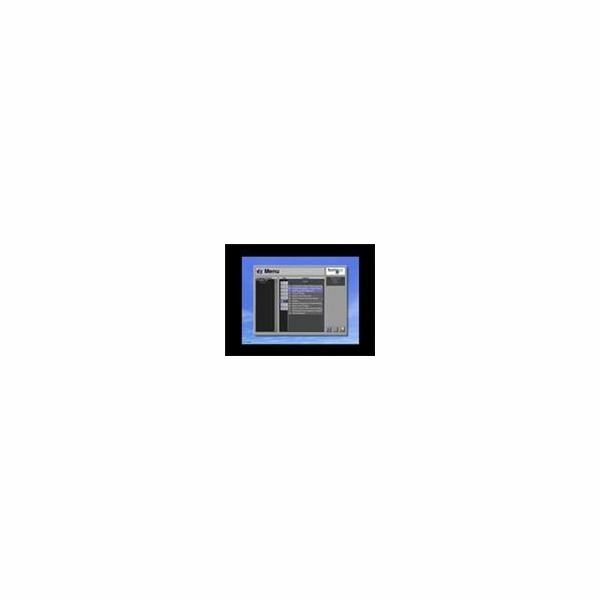 Power Translator 11 Pro Spanish is an elegant program because its designers envisioned the sorts of documents and environments that people need to translate. It is a charm to work with. Rosetta Stone’s Level 1 Brazilian Portuguese, with its Dynamic Immersion method, puts language learning on the fast track for those who need to be able to communicate effectively in a short period of time. Tell Me More Spanish is a superb example of what technology and content experts can do collaboratively. This language-learning software almost makes me jealous of the people who don’t speak Spanish because they get to use the program to learn it. Complete Spanish Learning Suite 2006 contains five separate language-learning programs: LinguaMatch, Learn Spanish Now, Before You Know It, Lexicon, and Global Writer. All good programs, but installation woes bring down otherwise top-notch language software.